The End of the Administrative Process. Claimants who have been denied Social Security Disability benefits at the initial, then the reconsideration level, then at the administrative hearing and finally at the Appeals Council level have competed the administrative process. The decision of the Appeals Council is the last administrative decision. Even though the Appeals Council denial is the final step in the administrative process, it is not the end of the appeals process. The federal court system is the next appeal stage. Filing in Federal Court. The law permits a person who is dissatisfied with the decision of the Commissioner of Social Security to file for court review. It is a little odd that the law provides that what a person is appealing is actually the decision of the administrative law judge rather than the decision of the Appeals Council. However, Social Security statutes and regulations view the decision of the Administrative Law Judge, except in a few rare instances, as the last word on the case. The civil action is actually a court review. There is no trial either by the court or by a jury. Instead the court review is a “paper review.” The Commissioner of Social Security is represented by the U.S. Attorney for the judicial district in which the district court sits. Once the case is filed, the Commissioner will file an answer along with a copy of the transcript of the administrative proceedings. The court will then schedule dates on which the parties must file briefs in support and against the review. Once all of the briefs are filed, the court rules. 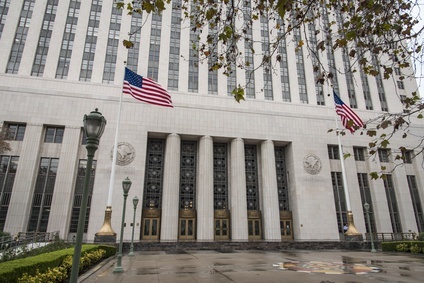 The civil action begins when the claimant files a complaint in the U.S. District Court in the judicial district in which the claimant lives. (See U.S. Courts Locator.) (There are technical requirements concerning who to name as the defendant and to whom and where to deliver copies of the summons and complaint contained in the Appeals Council denial letter which need to followed.) The filing fee for filing a civil action in a U.S. District Court is $400. The $400 must be paid at the time of filing. If the person filing a civil action cannot afford to pay the $400 filing fee the law permits them to file an Application to Proceed in District Court Without Prepaying Fees or Costs (Long Form). If this application is granted by the U.S. District Court then the person may start the civil action without paying the filing fees. The civil action must be filed within 60 days after the person receives the denial notice from the Appeals Council. The Social Security Administration assumes that the person received the letter 5 days after the date on the letter. It is possible for the person to ask for an extension of the 60 day time limit. That request for an extension must be made in writing and mailed to the Appeals Council. The person requesting the extension must show that he/she has “good cause” for asking for the extension. After reviewing the case, the U. S. District Court may: 1.) decide that the Administrative Law Judge did not commit an error of law and there was substantial evidence to support the decision of the Administrative Law Judge. If the court makes this ruling, there will be no change in the decision. 2.) 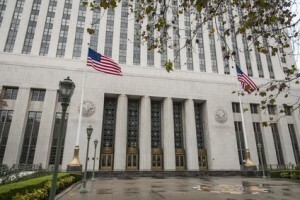 It may decide that there was an error of law or that there was not substantial evidence to support the decision oif trhe Administrative Law Judge. If this happens the court will either send the case back to the Administration for further review or in rare instances order the case to be paid.